FLYING EAGLE was launched by Vinal Beal on the Moosabec Reach of Beals Island, Maine, in 1963. Vinal designed and built all such lobsterboats during winter when not lobstering, by means of a half-model (no plans). 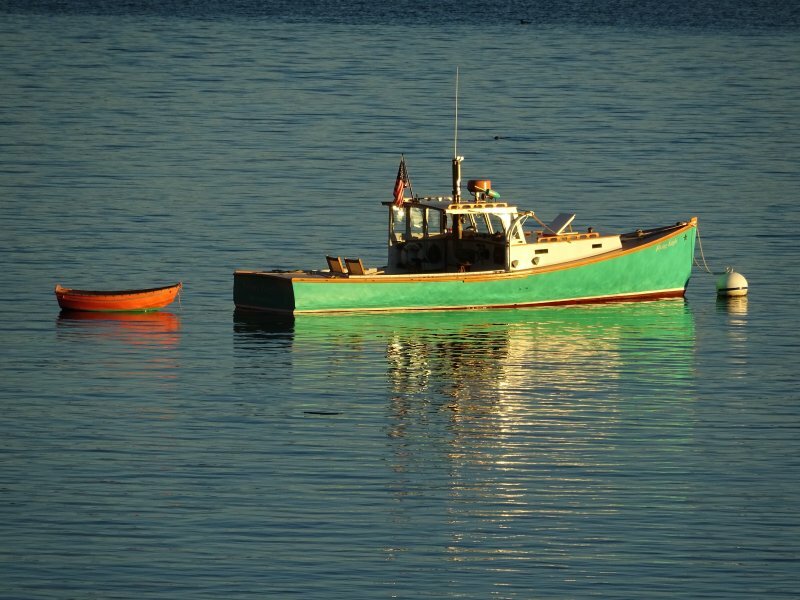 These stunning vessels with their low freeboard and graceful sheer are often referred to as a “Beals Islander” or “Jonesporter,” a workboat with beauty of purpose and specifically built for their own geographic downeast Maine fishing conditions. 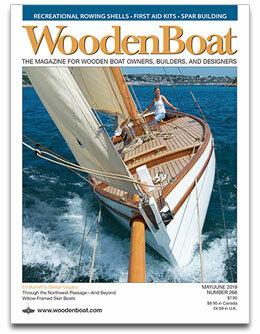 In 2014, FLYING EAGLE was partially refit at Artisan Boatworks (Rockport, ME) during the worst of heavy winter weather. 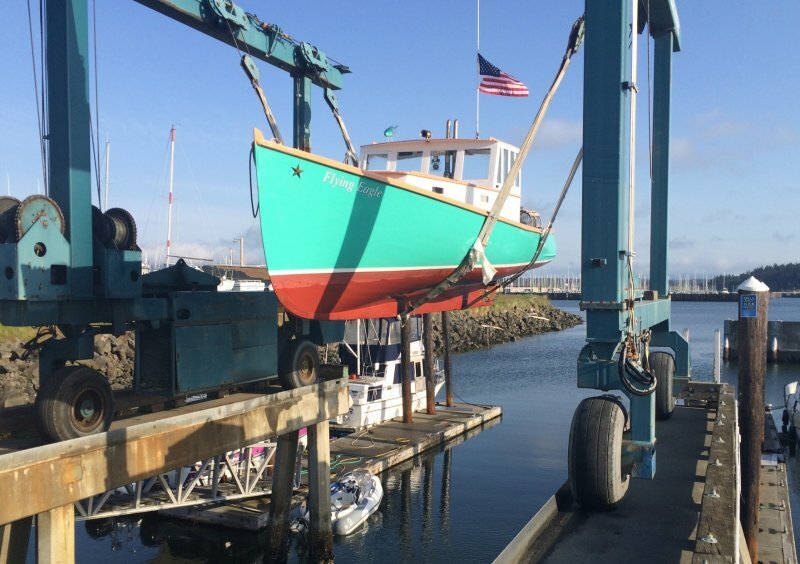 She then endured an 11 day, 3,500-mile overland journey by flatbed truck to Anacortes, WA, arriving May 1, 2015. 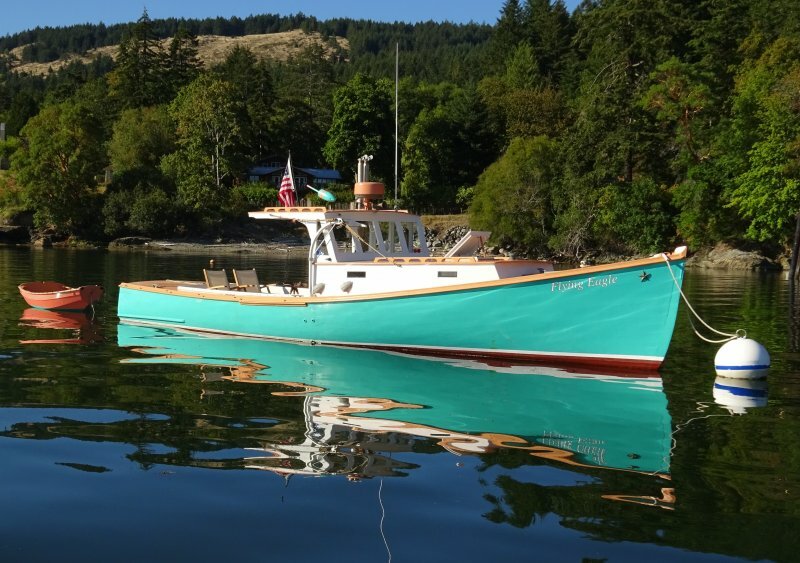 Following two active cruising seasons between Port Townsend, Canada and the San Juan Islands, she completed structural restorations during the first six months of 2017 at Emerald Marine in Anacortes. 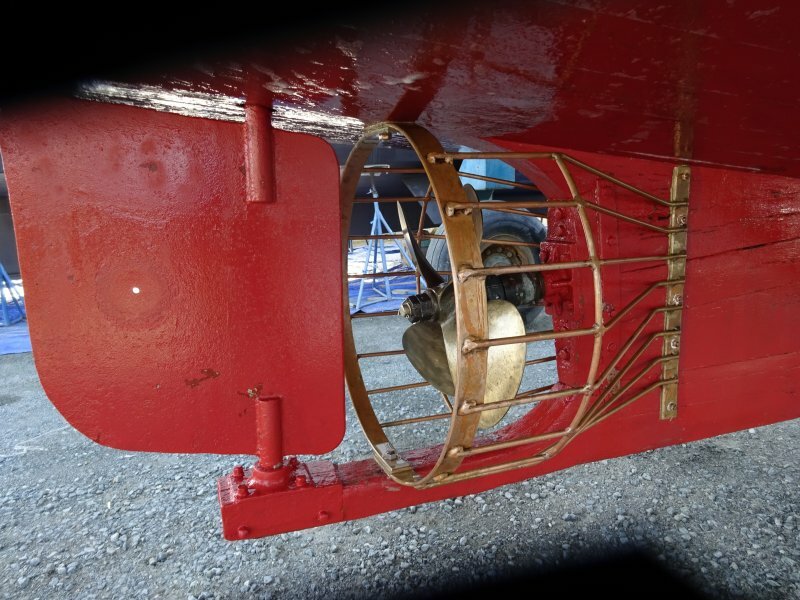 FLYING EAGLE is here today thanks to all past owners (mostly lobstermen), each of whom has done his part with repair and maintenance while working her hard in the far eastern fetches of the Maine. NOTE: Other than a lighter 2013, 383 Mercruiser gas V8 stroker engine, FLYING EAGLE is very much original including her Newport Green color, her throaty dry-stack exhaust rising up through her standing shelter and her bronze prop-cage meant to prevent fouling. She still does 22+ knots! 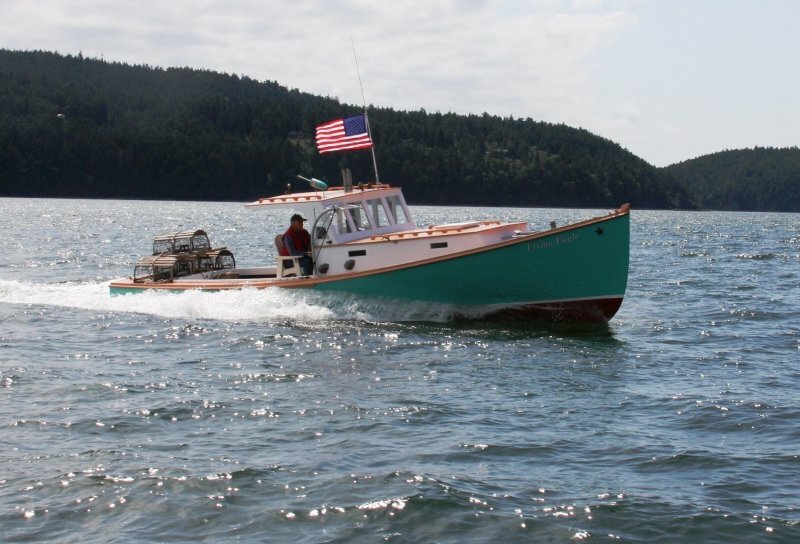 See more in owner Rick Strollo’s article, “A New England Eagle in the Pacific Northwest," and Emerald Marine's blog post (Jan. 2018), "Flying Eagle, Maine Lobster Boat, New Home on Orcas Island."